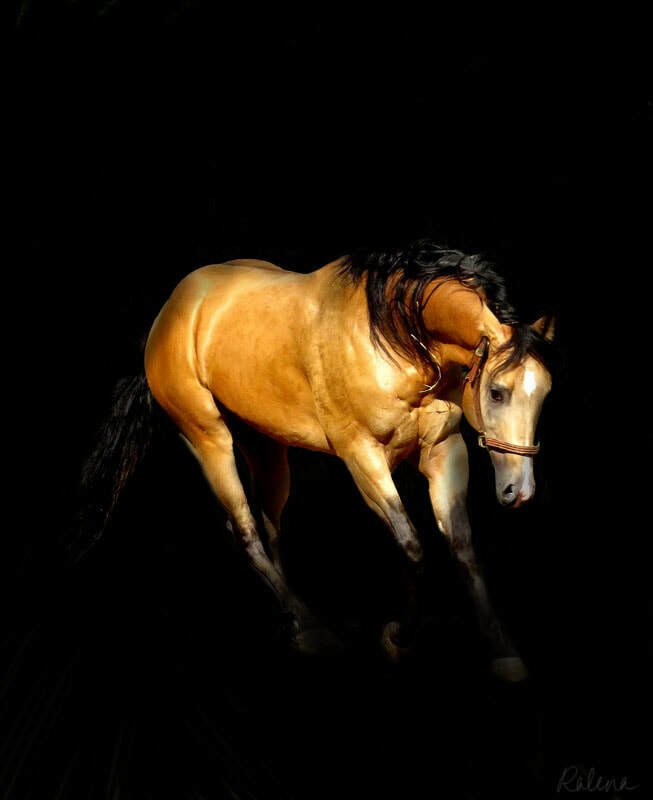 Use the links to the left by hovering over AQHA(Quarter Horses) or APHA(Paint Horses) or other links, then click on a horses name, or you can also see 'geldings' or 'mares' available on separate pages from their links to the left. they're good minded, trainable, and ride smooth too! Remember, Its Good to be Gold! I raise AQHA and APHA horses. 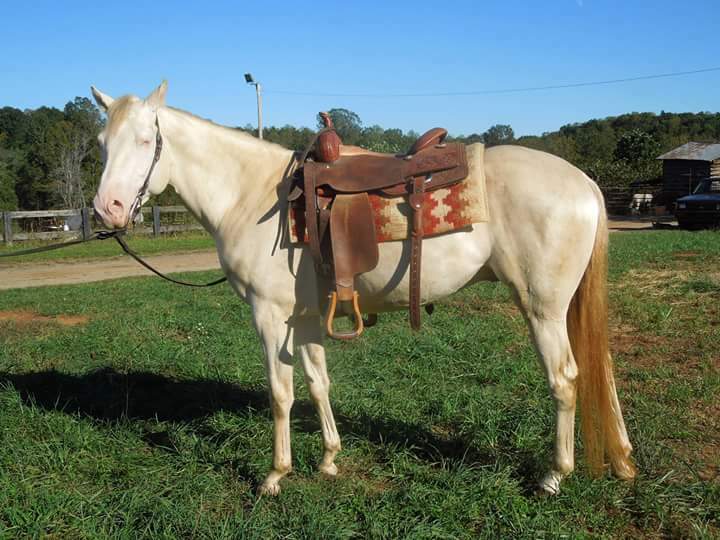 With the acquisition of Stats First Goodbar in Fall of 2010 (AQHA cremello) I've focused our breeding program towards dual registered horses and streamlining even further into the buckskins, while still offering a nice selection of dunskins, grullos, and palominos at all times! "The Country" occasionally, but screen them and use them in all aspects that we advertise them for before I offer them for sale so I then know what they are, and can stand behind it. I do understand how difficult it can be when searching for a new horse, and know the frustration many face while shopping from barn to barn, only to find they've yet again traveled countless miles for another wasted day. Here, I don't plan to waste your- or my- valuable time. I do use our horses thoroughly and know they will do what I advertise them to do, whether its here at the farm or once you get them home. I don't "sugar coat" anything, and what you see is what you get when you visit...and usually if you get along with it here-out of a routine and usually 'right out of the stall(or pasture) than 9 times out of 10 when you get it home you'll love it! I really don't ride or school our horses every day. When you come I might mention "this horse" hasn't been turned out due to weather, or hasn't been ridden in a month, etc...that's true! I would rather you see them 'at their worst' so to speak...manners/riding/etc. because when you take it home and start using/training/working with them, it is so much better. Some farms have a conditioned program and when you buy a horse and take it home and don't continue the same program as it was before, they seem to 'fall apart'...I will state if I've been particularly focused on one or two and that they are in a routine, or 'this one just came back from the trainers'(where they were in a routine) but usually, what you see is genuinely an example of what you'd get if you take the horse home, turn it out, leave it for a month then get it out like you did here. No surprises. Sometimes I do have horses scattered out at various trainers, some are there to learn a new talent, some are there to fine tune one they're already doing...and some are there to just learn how to go on and be consistent and quiet on a daily basis. I am very picky when matching horses and riders, after all, I do want it to work...so won't suggest a baby thats just learning a consistent routine for a green rider. I will be happy to discuss any prospects with your trainer to see if your choice is something your trainer recommends would work for your riding level, or help you along the way. I can talk your ear off on the phone, but would rather do that and have you completely aware of the horse and if it will suit what you need before you even come to the farm in the first place. I've been doing this long enough and have learned that I would rather have happy, satisfied customers that return and refer the farm in the long run than a one-time deal that sours you from coming back for anything or referring us to your friends. I do have plenty of references available upon request, from purchasers that have bought out of state even on videos and descriptions alone, and come back whenever they add more to their herd. Occasionally I will also take a select horses on consignment. This is a marketing program targeted to place your horse with the best match available. We have limited space for consignment horses and we have different approaches to help facilitate the sale, depending on the horse. Feel Free to contact me (Ralena) should you have any questions regarding the consignment program or details on any of the horses currently at the farm on consignment. *This program allows me to pick-and-scrutinize the horses I offer to the clients instead of purchasing something that might not fit and have to "push" it off on someone else. Some barns go to auctions or purchase from families and then turn the horses 'over' without knowing what they have, or are capable of doing. The consignment program at Double Creek allows me to be as picky as we would for our personal horses, so you can rest assured that if its here for sale with my name, we know all aspects about the horse and their suitability. 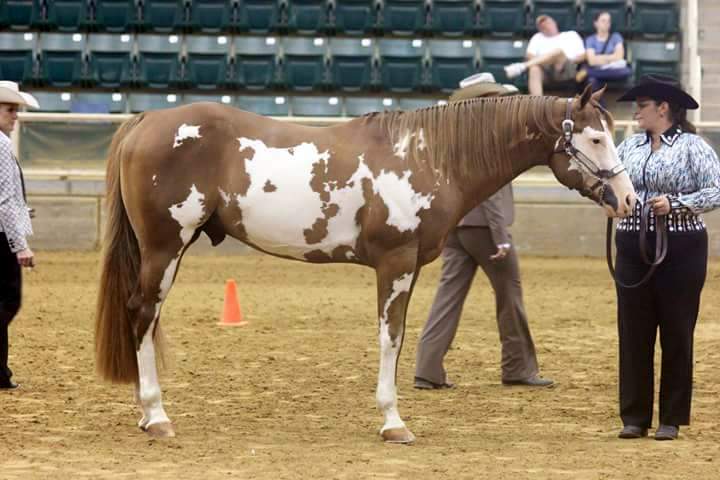 Above, Kolored by Krymsun AQHA/APHA stallion at a show in 2016 - stood Grand Champion Stallion. Also picked up some green WP points at the show. He has AQHA pleasure points already. 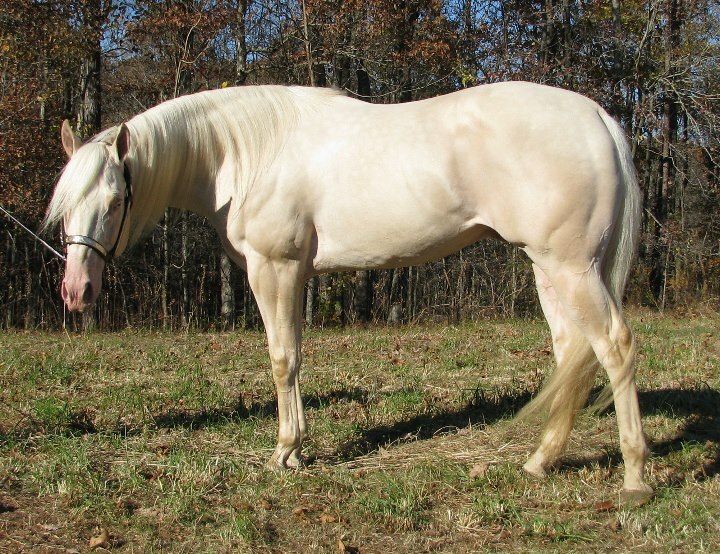 Above, APHA homozygous stallion Little Lucky Streke bred, raised and stands at stud at Double Creek Farm in Mt. Airy. He can only have paint babies! Click here to let me Find you a Horse! I created and designed this site, and besides the template that is standard, all my content and information is copyright Double Creek Farm. Painted QH Farm is the only site allowed to use info as we work together considerably. All other sites that you see that have copied my information and link descriptions are not affiliated with Double Creek Farm. Thank you, and Happy Horse Hunting!